Do You like what You see? Do You want to know how? Then this BOOK is for You! I bought the book a couple of weeks ago. It is really amazing that I can now make pretty good complicated objects by following the tutorial and using the Rhino 4.0. 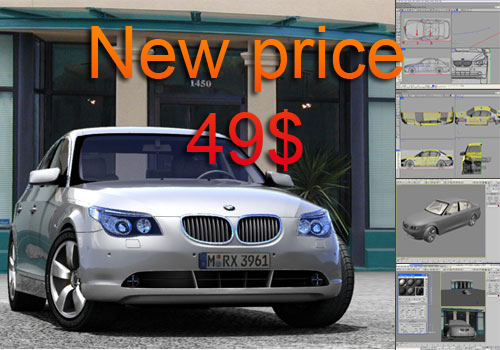 If you want to learn making 3D quickly. I strongly recommend you to get this book. Good value. Easy to understanding, great book about modeling in Rhinoceros! This book goes through all of the techniques used to create professional models and textures. The tutorial chapters are advanced enough to keep the experienced users challenged, and the background information is easy enough for students and novices to understand. There is material in this book I have been looking for, and is not available in any other books out there. This is one book that everyone that is interested in creating 3D graphics should get. I've just have bought a book and I can't stop admiring it. That is a very good one and it surely worth that 100$ I've spent for it. Very cognitive and interesting book. The manual is very well organized and clearly the right choice for any person willing to learn, even if knowing absolutely nothing about this great software. It is truely a wonderful book! I have been reading and modeling in Rhino for 2 full days, and I found it is so cleary written and highly detailed that you won't miss anything. The model itself is in a great detail, it covers from exterior to interior. In short, I believe anyone finish this book, he can become a master in Rhino.